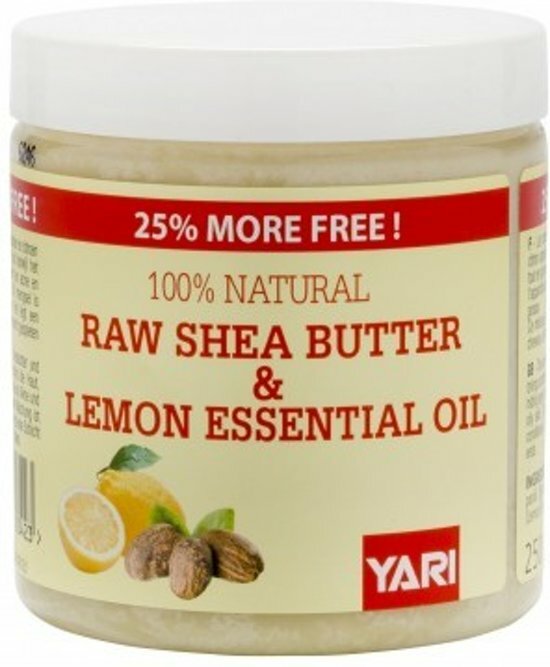 The combination of shea butter and lemon brings softness and hydration to the skin while hiding and imperfections and controls acne and oily skin. This mixture can also be used as a conditioner. It coats the hair and prevents split ends.